I was searching for some good books to read to my third graders when we had a few extra minutes to fill. It is tricky because I teach at a homeschool enrichment program. We only meet twice per week. I needed something short and sweet. And fun. Mr. Putter is the grandfatherly gentleman who lives with his dear old cat, Tabby. Mr. Putter adopted Tabby because Tabby is old like him. But just because they are old does NOT mean that Mr. Putter and Tabby don’t have fun. In fact, fun is what they do best. And who better to share the fun than Mr. Putter’s kind, grandmotherly friend: a.k.a. next-door neighbor, Mrs. Teaberry. Mrs. Teaberry and her good (hearted) dog, Zeke, are always up for a new adventure with Mr. Putter and Tabby. well, you’ll have to read the book. If you don’t have time to run out and get Mr. Putter Bakes the Cake before Christmas, you could still check your local library after Christmas and read it as you reflect on your holiday. Or go take a look at the other Mr. Putter books. The gentle humor and delightful illustrations will surely bring a smile to your child’s (and your) face. Sound familiar? It was an every day situation at our house. It was about to drive me crazy! Let’s say you have 2 kids. Kid 1 gets the odd numbered days of the month. Kid 2 gets the even numbered days. If you have more than 2 kids, divide up the month as evenly as possible so that everyone knows whose day it is. Mark it on the calendar if that helps. The benefits to each child when it is his’her day: Kid of the Day gets to answer the door, answer the phone, first choice of which part of the bathroom to clean, gets to pick the bedtime story, etc. Make it fit your life. The responsibilities of Kid of the Day: Let the dog out, take out the trash and recycling, relay the phone messages or write them down, etc. Again, adjust it to your household. This has freed up quite a bit of brain space for me. I hope it does for you as well. It’s been a packed week here. How about you? But we did make time for some comfort food. Mashed potatoes! Cut and boil 5 lbs. potatoes. Call the kids. With them helping: Add a healthy buttery spread . Use Morton Lite Salt with 50% less sodium. Mash the potatoes with a potato masher. Get out your blender.Put one 16 oz. container of fat free cottage cheese in the blender. Blend it on high until creamy. 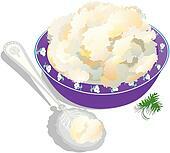 Stir all the creamed cottage cheese into the mashed potatoes. Get out your mixer. Let your kids take turns whipping those taters into a blissful fluff. Enjoy! And don’t feel guilty. You have reduced the usual fat and sodium content of regular mashed potatoes. You have made them creamy without the cream Instead of fat, the cottage cheese added protein. Blended cottage cheese also works great in dips for chips and veggies. Have fun experimenting! Okay, we um all have words we like fall back on when we, uh, talk or read. For us, it is the pesky little “um”. I’m not sure when “um” became a member of our household. But lately, it seems, that annoying little “um” has become ubiquitous. I knew “um” was wearing out his welcome when he began to creep into my child’s reading. “Um” was in every other sentence. And my child didn’t even know “he” was there. What’s a mom to do? We’re pulling out the “um” buster duster! When that unwanted “um” creeps into my dear child’s reading, we will gently dust it and send it on it’s way. When my dear child reads a paragraph and keeps that rascally “um” out, we celebrate with a push of the laughter button. if we make it through the whole passage “um”-free, we can do the happy dance and maybe even go drum out a happy beat. “ums” the door with a smile on your face. Maybe instead of a feather duster, you use the soft end of a funny pencil. 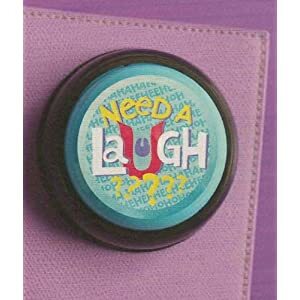 Maybe instead of a laughter button, you use Staple’s “Easy” button. Or a bell, or harmonica… The idea is to have fun with it and get those unwanted words out of your child’s reading. In the little farming community where I grew up, we managed to have a football team and a pep squad. But we were missing something. A band. And DRUMS! So when I went off to college and attended college football games, I sat by the band. And the DRUMS! I guess with a last name like Drummond, you might guess I like drums. And you would be right! Seriously though, if you don’t have some drums around and you are a parent, a homeschool teacher, or even a classroom teacher, please consider letting your kids explore drums. Check garage sales, craigslist, and such. I’ve acquired 3 or 4 “real” drums that way. In the meanwhile, oatmeal containers and coffee tubs work fine and are quieter. For drumsticks, try pencils or dowel rods. 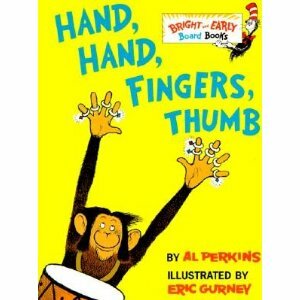 As for drum books, Hand, Hand, Fingers, Thumb by Al Perkins, is a must read. It starts with just one thumb, one monkey “drumming on a drum”. Along the way, “Monkeys drum…and monkeys hum.” More monkey business ensues. Next, “hand in hand more monkeys come” until ” millions of fingers, millions of thumbs, millions of monkeys drumming on drums”. The monkey masses depart. The last page again shows one lone monkey, happily drumming with one thumb. The words also bring the commotion to a close, getting smaller and smaller as they thumb out one last “Dum ditty Dum ditty Dum dum”. Al Perkins has the rhyme and rhythm thing down pat. Eric Gurney’s clearly illustrated, friendly monkeys invite you to read this story again and again. Try adding a tune. Beat out the rhythm. Have fun! You can revisit this book with older kids when they learn about onomatopoeia. (on-oh-mot-a-pea-uh). Say that three times fast. Tee-hee! Onomatopoeia is one of my favorite words.It refers to words that are like the sound they make. Some onomatopoeia words in Hand, Hand, Fingers, Thumb are: drumming, dum-ditty, hum, blow, whack, strum, and zum. And yes. I did have to look up how to spell onomatopoeia. What a crazy, wonderful word! 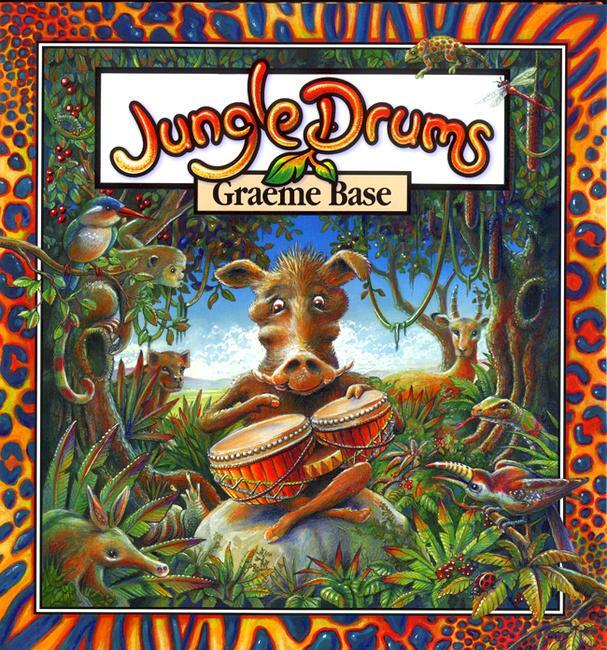 One more book about drums that I highly recommend is by Graeme Base. This Australian author is multi-talented. He also illustrates his books…gorgeously. Graeme Base was on a book tour a few years back. He actually made it to my home town in Texas! We had the honor of meeting Mr. Base in person. He signed books for us. Wow! In Jungle Drums, Ngiri Mdogo (means “little warthog” in Swahili) is being teased by the other warthogs because he is so small. And if that’s not bad enough, the “Other Animals” of the jungle hold a parade with prizes for the most beautiful. The warthogs don’t even waste their time entering. Life just isn’t fair! Wise Old Warthog gives Ngiri a gift: magical bongo drums which will grant any wish. Hmmm….What do you think Ngiri wishes for? How do you think it works out? What if you could have anything you wanted, tomorrow morning, with just a beat of a drum and a wish? Look in on the littlest warthog and see how it goes. And after you read the story, go back and search for Graeme Base’s cleverly hidden illustrations within the illustrations. Also consider using drums in your teaching. When I homeschool, my kids and I bang out our spelling words and math facts on the drums. When we finish, we aren’t just smarter, we feel better. We have whacked away the day’s frustrations in a productive and non-violent way. So go get a drum. And “dum-ditty, dum-ditty, dum, dum,” DRUM!! !